Starting a business is an exhilarating endeavor — by now, there's a good chance you've already determined this is the right path for you. What goes into setting up and funding a franchise? Writing a business plan, finding money for the up-front expenses and taking the steps to eventually profit from your business may seem like a complex or even overwhelming task right now — but many before you have done it. Education is the first step, and you've come to the right place. 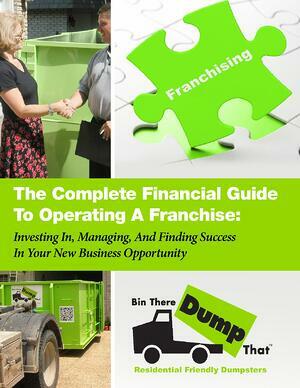 Ready to start seeking success as a Bin There Dump That franchise operator? Downloading this guide is your first step in the right direction. Fill out our simple web form to get this FREE, knowledge-packed e-book.